If you haven't had a chance to tour Audi's production facility in Ingolstadt, Germany, fret not. Audi has now launched an interactive website allowing you to view the plant without ever having to buy a plane ticket. A must see for any true quattroholic. 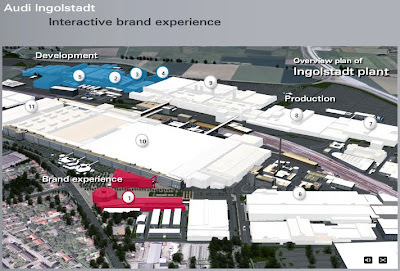 Click here to view Audi's Interactive Ingolstadt Virtual Production Site.